My book, What the Zhang Boys Know, is about a widower from Shanghai who is struggling to care for his two young boys in their home in Washington, D.C. One of his solutions to his predicament is to bring his father, also a widower, from Shanghai to help. It turns out that the grandfather is a pretty good cook, and one of his specialties is a simple stir-fry, which I’ve reproduced here. I’ve spent a lot of time in China and elsewhere in Asia (I’ve lived in Korea, Singapore, and Kazakhstan, worked in China, Vietnam, and Indonesia, and I frequently write about Asia), and I love all the cuisines. There are some fabulous restaurants in Beijing and Shang hai, Singapore and Hong Kong—I’m never disappointed. In the U.S., though, outside of the major cities, your best bet for Chinese food is to do it yourself at home. Fresh ingredients, simple sauces. It’s healthy and delicious. 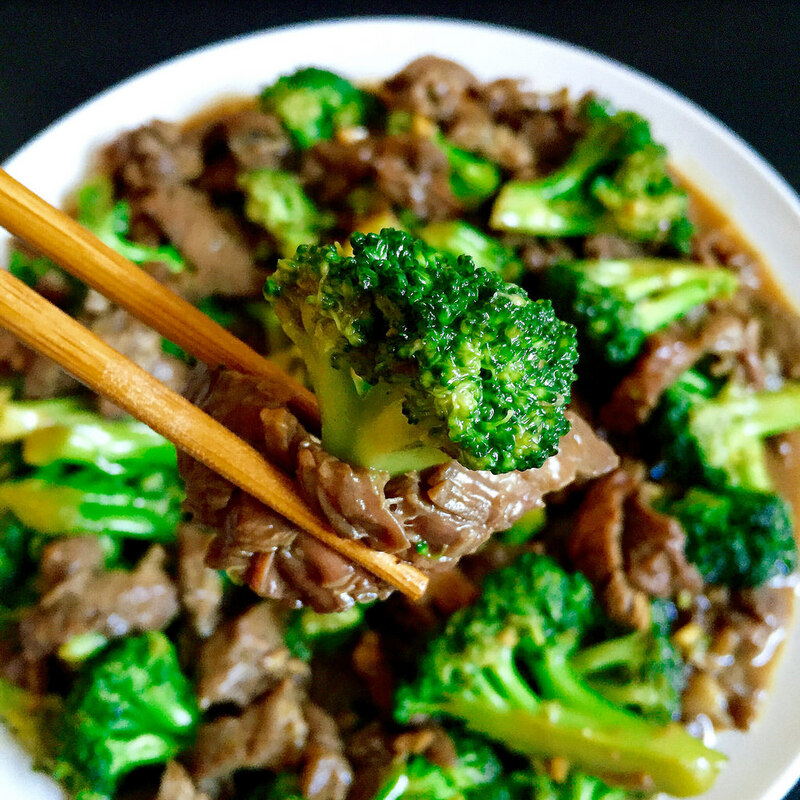 A quick and easy stir-fry, with beef, broccoli, fresh ginger and garlic. Slice the steak in half lengthwise and then cut crosswise into thin slices, across the grain (see note). In a medium bowl, stir 1 tablespoon of the soy sauce with the sherry, cornstarch, and 1/2 teaspoon kosher salt. Add the steak, toss to coat, and let sit for 10 minutes. Set a large, heavy skillet or a large wok over high heat for 1 minute. Pour in 2 tablespoons of the oil and, when it starts to shimmer, add the beef. Cook the beef, stirring frequently, until it loses most but not all of its raw color, about 2 minutes. Transfer to a large plate. Add the remaining 2 tablespoons oil and the garlic, ginger, chili flakes, and 1/4 teaspoon kosher salt. Stir-fry for 30 seconds. Add the broccoli and 3 tablespoons water and cook, stirring to incorporate any browned bits on the bottom of the pan, until the broccoli warms through, about 1 minute. Stir in the beef, the oyster sauce, and the remaining 2 tablespoons soy sauce; cook, stirring, for 1 minute. Serve immediately with white rice. It’s easier to cut raw flank steak into thin slices, if you partially freeze the steak first. Before cutting, place steak in freezer for 10-20 minutes.